Welcome to part three of the Memorable gaming moments, we are now fully immersed in PC gaming. 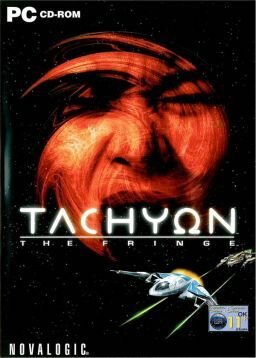 7 ) We are kicking off todays trip down memory lane with the single player space simulator Tachyon : The Fringe, there were many space sim games over the years but for me this was the one that delivered all the elements that I wanted, intuitive space combat with a variety of ships to kit out and fly, an enjoyable but storyline that sees you choosing sides in a giant space conflict. All of this from a rather small developer, it was a treat to play and Dok and I spent countless hours discussing the game and tactics. the second was that the ships allowed for sliding which being a Babylon 5 fan was an instant attraction (for reference this is when you can maintain the direction and velocity of travel while being able to alter the direction the ship was facing). 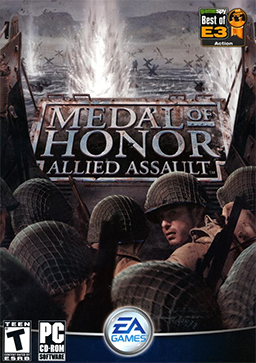 8 ) Final one for this post is Medal of Honor: Allied Assault, released in 2002 the game delivered an amazing single player campaign, but also gave me my first proper experience with online gaming. The single player narrative for me was a wonderful glimpse into the use of more action focused games for story telling but with Steven Spielberg on the writing team it’s no real surprise. I think the thing that struck me most about the game was that it jumped between locations and environments, giving you different environments to handle and deal with. There were moments when you were taking part in street battles, attempting to take out sniper nests before they targeted you or avoid enemy tanks as infantry. The game used AI to control allied troops that would fight around you giving things a more immersive feel. The multiplayer was fast and frantic, there was a variety of weaponry and the maps were lifted from game locations, some later mods added artillery fire or animated tanks that would periodically fire at known camping locations to allow the games to flow alot better. You can read Part 1 and Part 2 in this series. 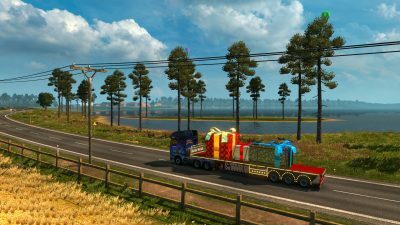 Almost a year ago I was blogging about SCS Software’s Euro Truck Simulator 2 and it’s French expansion, well it will come as little surprise to anyone that a year later and as the game reaches it’s 5th birthday, I’m still raving about the game. Ever had a single player game that you willed the developers to continue to support and develop, beyond the first couple of DLCs, well SCS are still giving this game so much love it’s crazy. 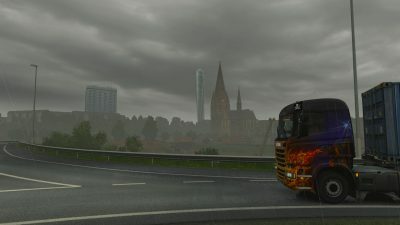 Now averaging a Map Expansion DLC per year (Scandinavia 2015/France 2016/Italy 2017) the game has also had some additional bonus DLC’s like the Heavy Cargo Pack which came out mid-year and the Special Transport in December too. 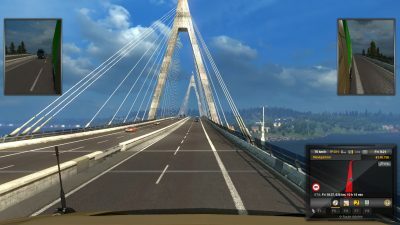 If the Map Expansions were just adding more roads into the game, it would tanked ages ago, what SCS Software strive for is to create an area that is visually different from others you have already played. The Going East! 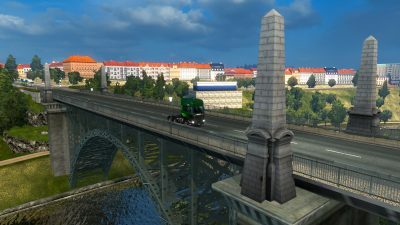 Expansion unlocked eastern Europe giving players more challenges in terms of road and jobs to complete, it also gave players new landscapes and farmland to enjoy. 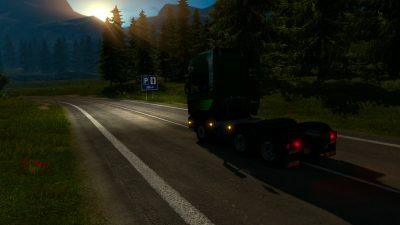 In the Scandinavia Map Expansion there are numerous mountain roads giving amazing views while crossing fjords, there are landmarks dotted around the place, you even have to negotiate roundabouts inside mountains. Contrastly the Vive la France! 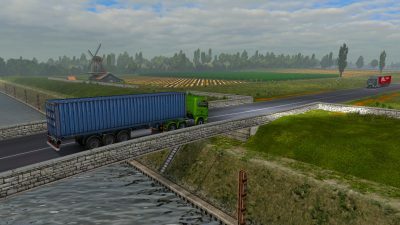 Map Expansion see’s up delivering to Power Plants, navigating our way through small country lanes and villages, and if you have ever been to France SCS Software nailed the fact there are toll booths EVERYWHERE. 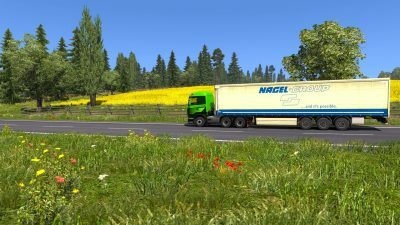 The last Expansion Italia has a rich tapestry of environments where we encounter dual lane carriageways winding their way through the Apennines descending into farmland. The climate as you descend into land surrounded by the Mediterranean changes and feels warm in it’s nature ( sounds crazy I know). 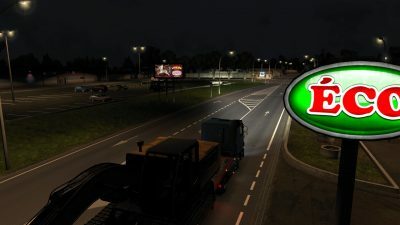 List the expansions is easy, however what is impressive with all these expansions is that SCS Software pay so much attention to small details, the look and feel of each area is different, the road layouts and intersections, the architecture of the buildings all lend themselves to creating a much more immersive game. The lighting in town and cities is much better now, there are adverts and billboards that give the word a much more lived in feeling. 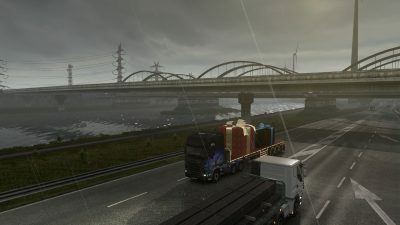 As I mentioned the Heavy Cargo and Special transport give the game more elements that mean things have to approached differently, can your truck handle the heavier load? Will you successfully drive that Wide Load taking the correct prompts from the special leading and trailing cars. This gives more things to do it this already busy game. I have been keeping an eye on these titles, watching videos as the are released and screenshots when possible, I’ve been on the fence for the most part as these games look nice but nothing was grabbing me in the same way as City of did. Last week I had the pleasure watching a stream from Massively OP that was talking with the folks from Ship Of Heroes, there was a lot of information and development ideas given. I have to say I was very impressed, there was a Q & A taking place in the chat and nearly all the answers were how I would want a Superhero game to work. One of the ideas that I hadn’t really understood was the idea of the space-ark (ship) and that the game looks to move away completely from a planetary bound MMO. This leads to multiple levels of the ship to explore and each having unique elements to it. I’d like to see how SoH progresses between now and when they launch a client for folks to test with, I have to admit that so far it’s piqued my interest more than any other spiritual successor has. In November I patched up the World of Tanks client as a was looking for a evening drop-in game, plus something that I could team up with some clan mates when needed. I started playing World of Tanks not long after launch in 2011, I tend to return and pick the game up once a year, it’s the kind of approach that makes my statistics look dreadful. It can take a little while to get back into the swing of things, remembering how best to use a tank and learning new map layouts. One of the most difficult challenges to overcome when returning after an extended break is learning what tanks have been changed and most importantly what new tanks you are likely to face, plus their strengths and weaknesses. So far I think I’m getting back on the right track, I have progressed some of my higher level tanks and have unlocked two tier 9 tanks and one tier 10 tank. Frustratingly no matter how well you are doing in a fight, the match is also in the hands of the other 14 players on your team too, many matches since returning have seemed to result in more overall failures. I like many have been on the KickStarter bandwagon since the dizzying days of 2011, in years passed there has been a random parcel has been delivered each month and I’ve not had the foggiest what was inside until opening, kinda like having 12 birthdays. Over the years I have mostly backed board games, but there have been a few albums, a handful of computer games and not forgetting helping out the fine folks at Massively Overpowered when they needed rehoming. 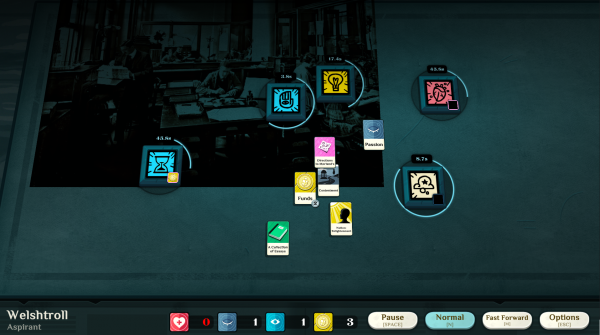 Last October I backed the game Cultist Simulator by the studio weatherfactory.biz, I had played the prototype of the game earlier in the year so I kind of knew what I was getting into. I’ll be honest, I generally enjoy all the things that lurch forth from the mind of Alexis Kennedy so I jumped at the chance to see where this new adventure was likely to take us. You may know Alexis from Failbetter Games working on the Fallen London & Sunless Sea, with guest appearances as a writer on Dragon Age: The Last Court and Stellaris : Horizon Signal. Mr Kennedy is one of the co-founders of WeatherFactor along with the awesome Lottie Beavan, also from Failbetter Games where she was the Producer of Fallen London (web/iOS) and Sunless Skies and it’s expansion. Given this duos past form, I am very excited to see how the game develops and takes its hideous final form over time. Also the in-game icons are being supplied by Clockwork Cuckoo who did the icons for another favourite game of mine Big Pharma. Cultist Simulator is a narrative focused game that sees you trying to live a “normal” life, dreaming of strange places and having disturbing visions, getting that work/life balance right is important so that you don’t starve to death, weigh up the odds of doing manual labour as an injury could turn out to be fatal. At first the game seems straight forward but as you get further into the story you discover it’s a complex juggling act, as all your actions take time to complete (less than a minute usually) and sometimes you find yourself egging the timer on so you can try and play a card that is time-sensitive before it evaporates. Things get more frantic as you unlock more actions that can be performed and each has elements to be discovered, like the correct combination of cards it needs to trigger an event, or a new unlock. Since backing the game there has been an Alpha release that naturally has more polish than the prototype did, more to interact with, more ways to fail, more things to juggle while consuming the wonderfully dark narrative.